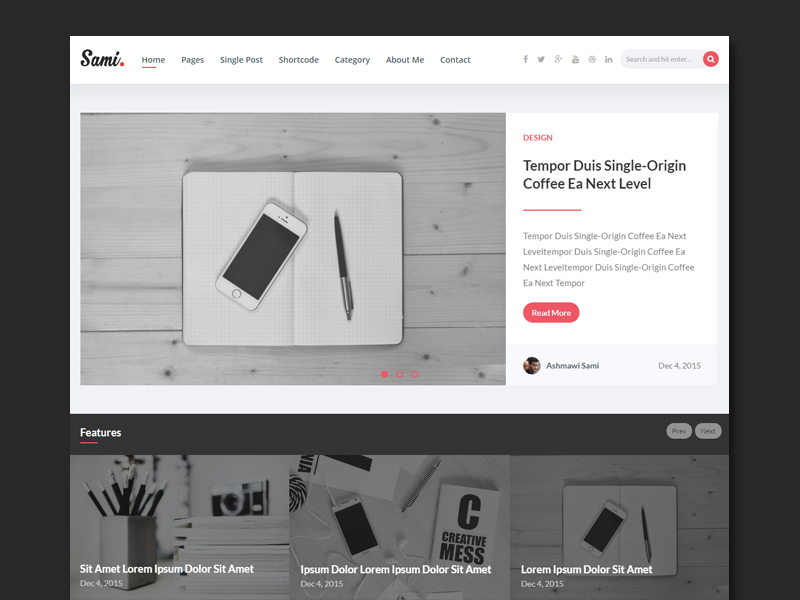 Version 1.1 is available now – Purchase Sami and get all future updates Sami is a modern and premium HTML template for a Blog, newspaper, magazine, shopping, publishing or review site! This unique and exclusive HTML template The following categories are touched in our template: entertainment; health, high-tech, fashion, travel, sports, business, politics, others. We have developed the most flexible and easy-to-use product for you! This theme is an excellent start for your news-portal, online journal, blog, personal portfolio.